We have had a LOT of rain lately around here. Too much, in fact. It's nice that it hasn't been hot, but the flooding is not the greatest. 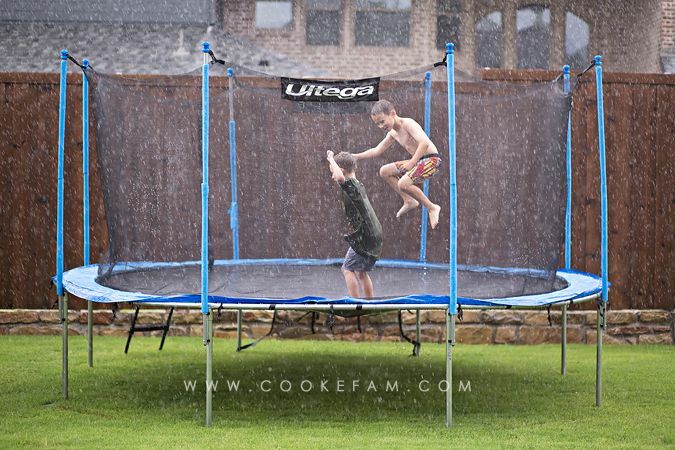 Yesterday it literally rained on and off ALL day long. 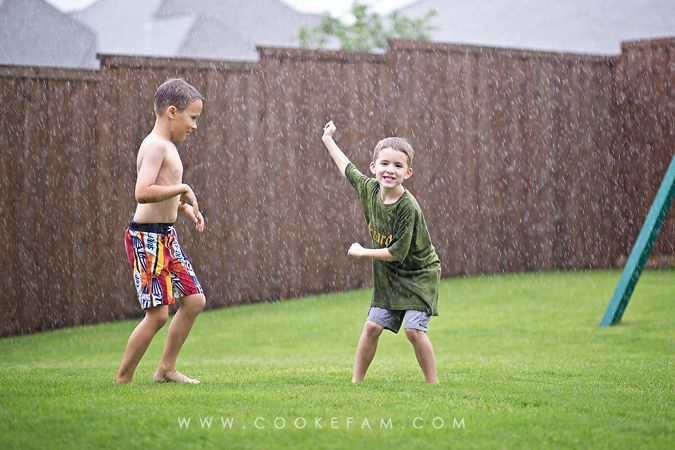 But we didn't let a little summer rain storm stop us from playing outside. Well, the boys did. 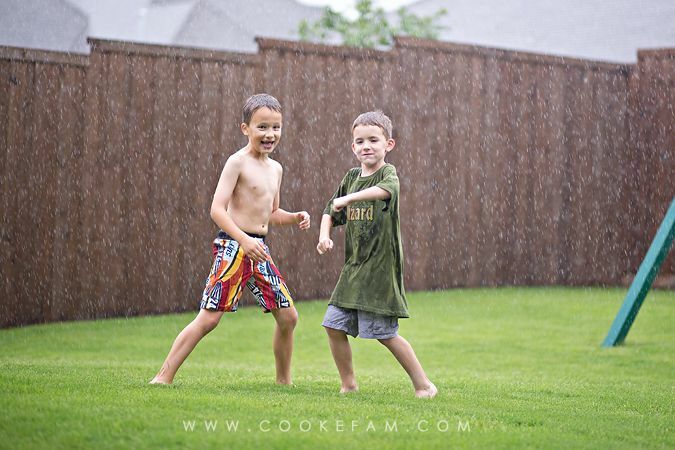 They started off playing with the bubble machine while it was just drizzling for a while. 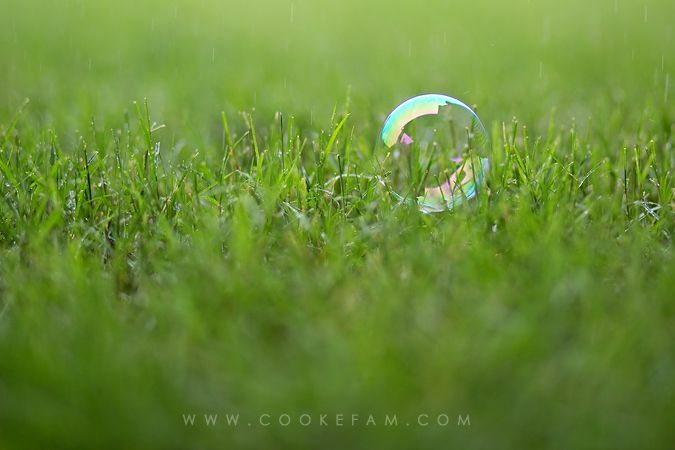 I was interested to find that the rain drops did not pop the bubbles on the grass. 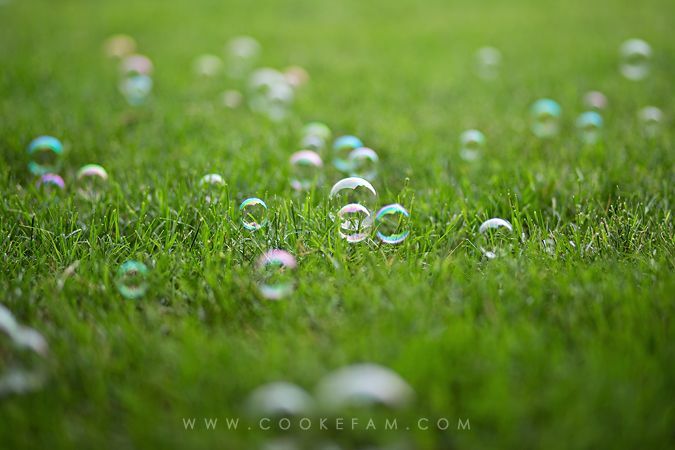 And I just loved the way all the bubbles looked on the grass too...kind of magical. In no time at all, the heavy rain started back up like it had several times throughout the day. And the boys decided to just embrace it. Duke wasn't sure about getting totally wet just yet. He watched from the porch with me. 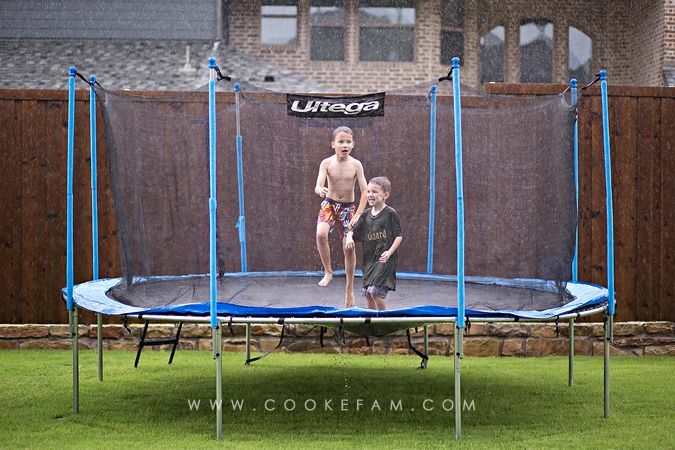 Then the fun transferred to the trampoline. I can't believe how the rain just kept coming. I waited to put dinner in the oven until the boys headed in for showers...at least 45 minutes later than they normally would. 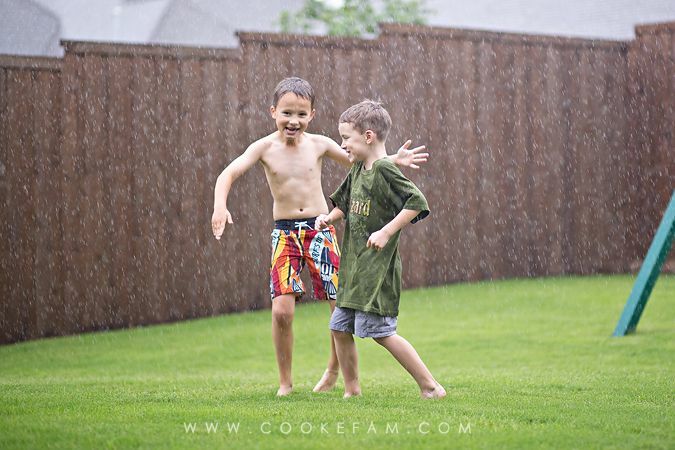 Sometimes summer means that you let them stay up a little later so they can dance in the rain.